Everyone wonders if the world is ready for cryptocurrencies. But more importantly, are cryptocurrencies ready for the world? More specifically, are cryptocurrency exchanges ready? Buying on exchanges is practically the only way to get crypto right now (let’s not get into mining), so it’s a crucial element in the whole ecosystem. How does a market economy work? First, let’s remember what a market is supposed to do. A normal market (any market, not specifically crypto) is driven by supply and demand. The forces are more or less equal, and small fluctuations in one direction or the other is what we call the market. But how has this looked for cryptocurrencies, up until recently? Long and tedious KYC verification process – Know Your Customer, the process of verifying clients’ identities, required by the anti-money laundering regulations that govern these activities. Barriers of entry – Verification tiers, minimum deposits in the thousands or tens of thousands of dollars, invitation-only markets, etc. In the last six months, the cryptocurrency exchanges have just not been able to keep up with all the money being shoveled in. They hired new people to verify accounts, and they never seemed to have enough of them. They upgraded their infrastructure to be able to handle the traffic, and the next day it was 100% full again, even though it could manage 500,000 concurrent visitors. Cryptocurrency exchanges were adding 100,000+ users per day, and probably turning away even more than that. It’s an exciting and frustrating time to be a crypto exchange right now. To better understand how crypto will have to look once it becomes a more normal market, let’s compare cryptocurrencies and e-commerce. That may seem strange, but if cryptocurrency has the ambition to be ubiquitous, it needs to be at least as easy to buy and use as today’s e-commerce websites. If not easier. E-commerce businesses compete for customers’ attention and their money. They use all the persuasion tools at their disposal because it’s a competitive market. Price — Always the #1 objection. Always. Trust — Do I know them? Do I trust the company? Social proof — Do others use and buy this too? Who? How many? Do I know them? Scarcity — Is this a commodity or are there just a few items left? Urgency — If I don’t buy know, will it still be available tomorrow? Will it cost the same? Security — Is it secure enough for me to give them my credit card number? 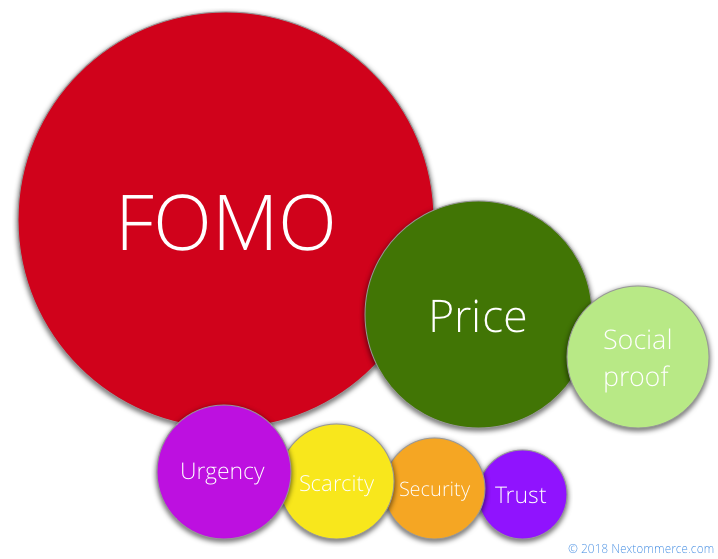 FOMO — Fear of missing out. If I don’t buy now, will I regret it in the future? 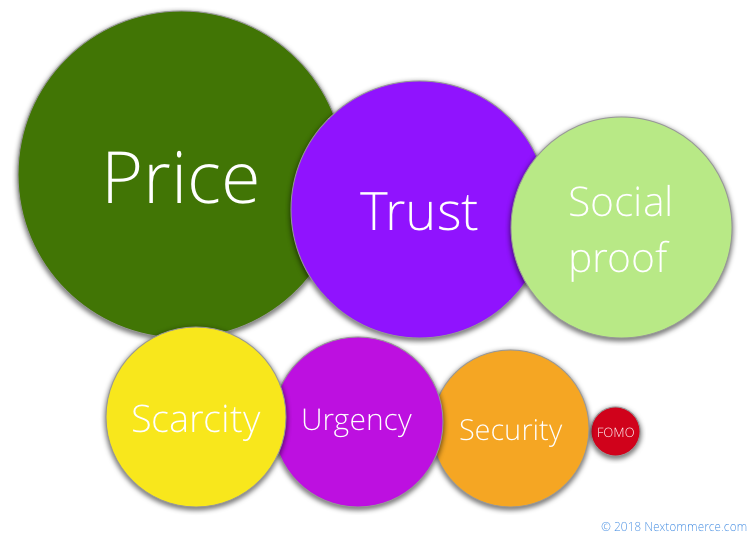 With e-commerce, most of these factors are of similar importance, with two exceptions: price is always the main objection, and FOMO is rarely a factor. When buying cryptocurrencies, the driving forces are entirely different. Fear of missing out is the primary factor, price is a distant second, and the rest is much less critical. That’s the way it’s worked for the last couple of years. But how will it look in the near future – 3 months, 1 year, 5 years from now? The crypto craze has finally settled down a little. The sharp price correction of January-February and the regulatory crackdown have scared away many tourists and scammers, leaving behind a cleaner and slightly saner market. There are more ways to buy cryptocurrencies now. People are focusing less on the fear of missing out, and starting to look at all the other factors. Soon, buying cryptocurrencies will begin to look very much like buying groceries online. Right now, the biggest problem for the exchanges is to get more hands on board, to be able to grab all the money. That’s a nice problem to have, but it’s unsustainable. When the dust settles, FOMO subsides, and the real supply and demand forces start working, where will the exchanges find themselves? Will they be ready to compete for customers? Will they be ready to replace the currency exchanges for fiat currencies, or even banks, as they aspire to do? Today no exchange is even remotely close. If you aspire to usher in a new world order, you have to be better than the old one. And bring better tools to the game. The current ones are barely functional. To create a new world order, the phenomenon needs to spread like a benevolent virus, instead of being the most difficult hurdle in the process. For now, the exchanges are the centralized choke points, and there’s no way around them, so let’s have a look how they’re doing right now, when times are good for them. I’ll compare a few of the biggest exchanges at the moment: Binance, Kraken, Bitfinex, and Coinbase. Binance is the largest cryptocurrency right now in terms of daily trading volume. They are also generated more than $200 million in profit in just their second quarter of existence. You would expect the market leader to have a stellar online presence, right? 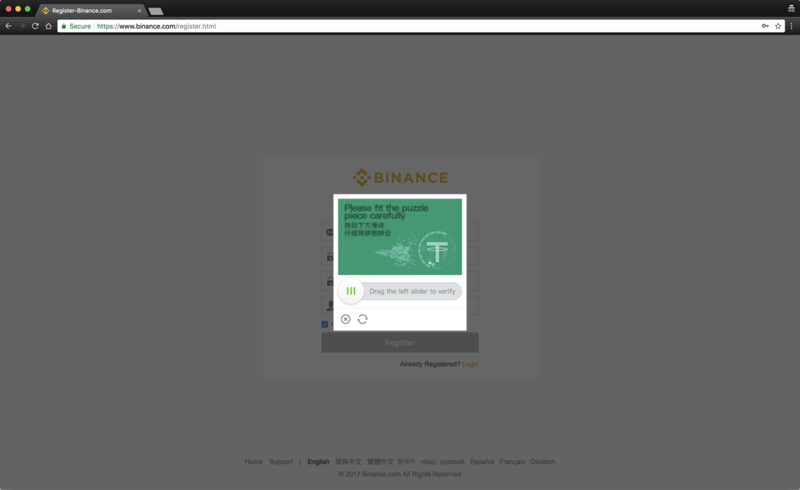 This is Binance’s homepage. This is the first thing you see when you visit their website. The first thing you notice on the page? Two humongous buttons and “HIRING.” Is it a cryptocurrency exchange or a job search website with two open positions? The rest is confusing numbers and irrelevant snippets of news. After a minute of being lost, I decide that maybe I’m not on an employment website after all, and I want to register. Where do I click? “Exchange”? “Launchpad”? “Join Us”? None of those. I need to find the “Register” link, in the top right corner. Ok, onward. Things are getting better here. With only a couple of slight hiccups. The email field is straightforward. As for the password, when you switch to this field, there’s no hint of the requirements. How many characters? Any special ones? Do I need to include numbers and capital letters? A cryptocurrency exchange is where I’m going to put in my hard-earned money and invest it. I would expect some strong password requirements. But it tells me nothing. Only if I don’t follow their requirements before going to the “Confirm Password” field does it say “Password must be at least 8 characters with uppercase letters and numbers.” Why not do it upfront and save me some frustration? 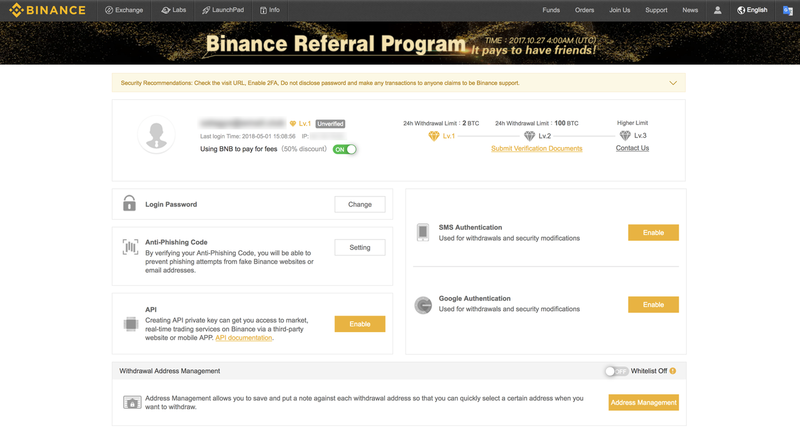 The “Referral ID” field is also not necessary, but it’s probably there for affiliate reasons. 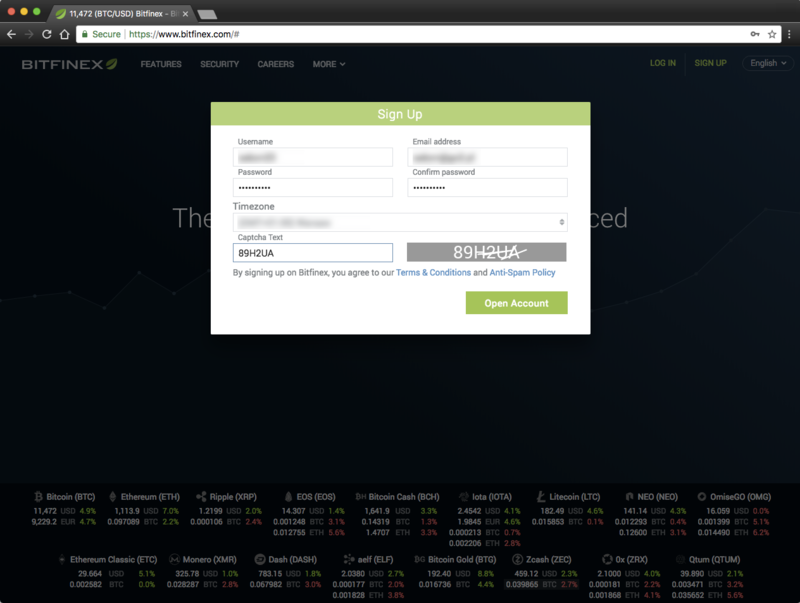 It’s easy to give affiliates the Referral ID and tell their customers to use it during the registration process. Easy for affiliates, but not useful for the end users. Ok, I managed to fill in all the fields correctly. Let’s hit that “Register” button. Another security measure. Fine. But the English is a little off (“fit the puzzle piece carefully”? ), and why does it have to show Chinese text too? Is it that hard to show a proper English version for English-language users, and Chinese for China? Seeing something that is not relevant to me decreases my trust in the company. And seeing Chinese text is usually not reassuring, if you’re outside China. After completing the English-Chinese puzzle, I’m halfway there. Now I need to verify my email. Two blatant mistakes on one page? 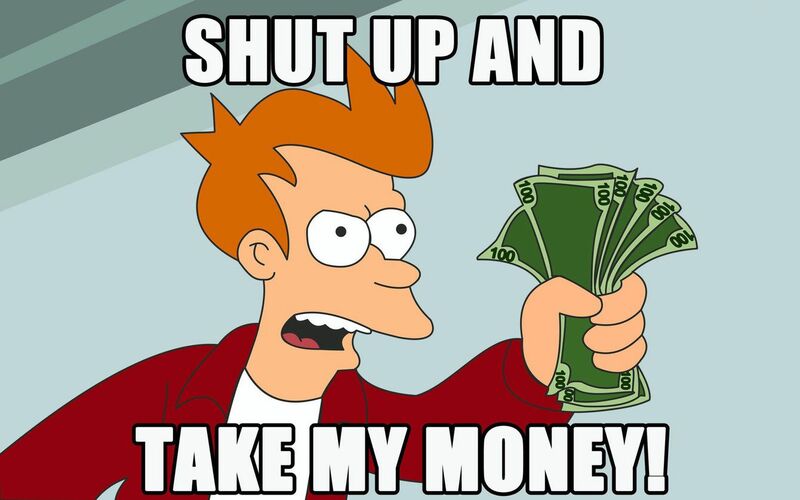 On a site that I’m about to trust with my money? Instead of helping persuade me, it makes me think twice. Everything seems fine here. 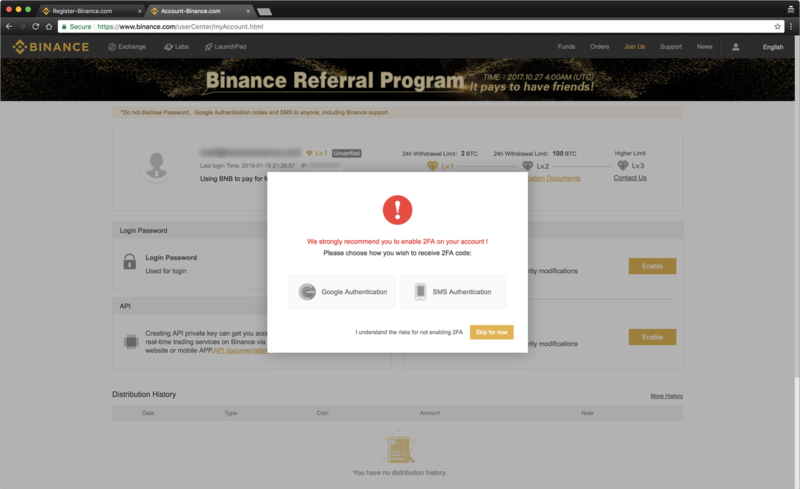 A warning to check the URL, to prevent phishing. That’s becoming standard on many exchanges. A fair reminder to stay alert. But then again, look at the date in the footer. 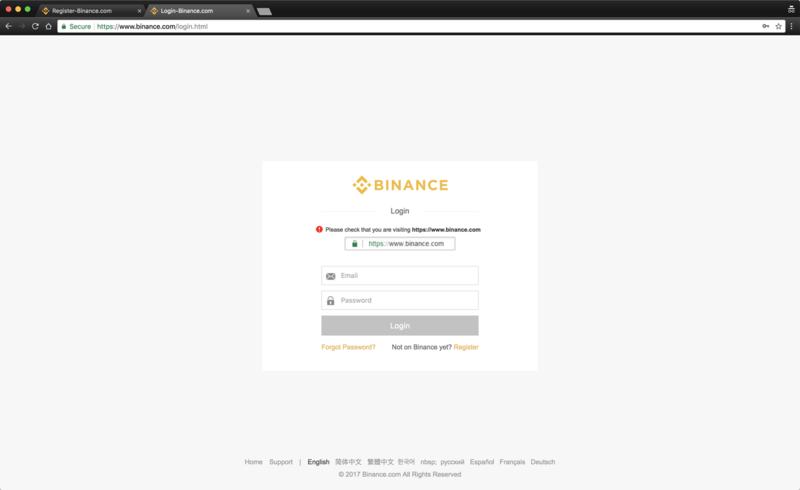 “© 2017 Binance.com All Rights Reserved”. And it’s clearly 2018 outside. That means that for at least four months nobody noticed it, or (which is worse) if they did, nobody bothered to update it. All the little details matter. Every inconsistency or error I see makes me less likely to go further. After logging in, I’m taken to the “safety risk notice” - again, not exactly proper English, but ok.
A couple of months ago there was no such screen during the registration process. While all this could be scaring people away, it’s also a good reminder of what not to do and how to stay safe. It’s here for a reason. You know how it goes: No matter how outlandish the rule, they wouldn’t make it if somebody hadn’t tried it at some point. Fair enough. Let’s select all the points and continue. This is a reminder for yet another security measure. While it’s good to have all these measures, it would also make sense to explain what they are. People may not be familiar with “2FA.” Not everyone knows that it stands for “two-factor authentication” and that it’s an extra layer of security that requires not only a password and username, but also an additional step, which in this case can be either a code from the Google Authenticator app or an SMS code. 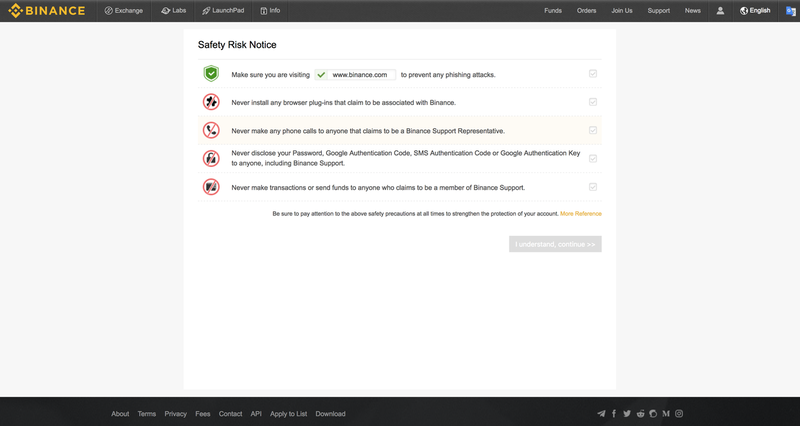 Once I either enable the 2FA or “skip for now,” I’m finally inside and on the main page/dashboard. The page doesn’t help me with anything. It gives me various security options to set up. It says I’m not verified. And it shows nothing about trading. I’m left hanging there, and I need to figure out everything else myself. The onboarding process is nonexistent. The homepage is unclear and misleading. The registration process is full of errors, typos, and inconsistencies. Onboarding is practically nonexistent. 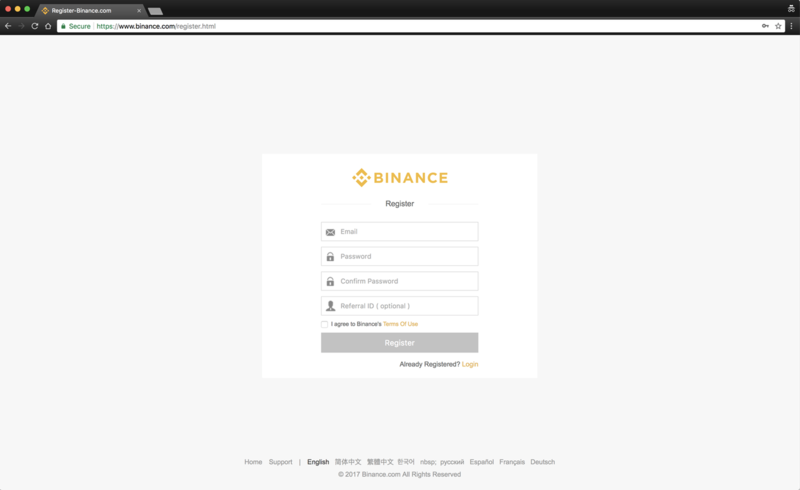 Being the leader (for the time being) is nice, but Binance should focus on user experience if they want to keep that position. Keep reading to see how to do it right. 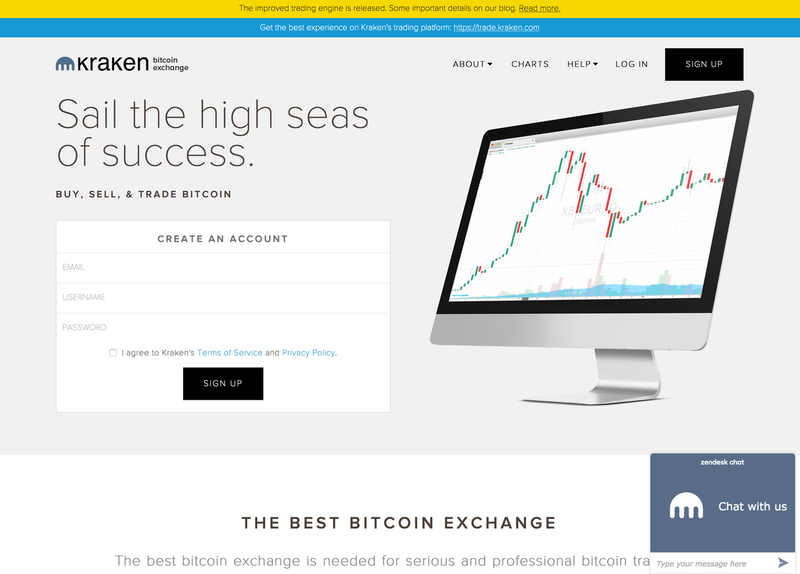 Kraken is another major cryptocurrency exchange, operating in Canada, the EU, Japan, and the US. 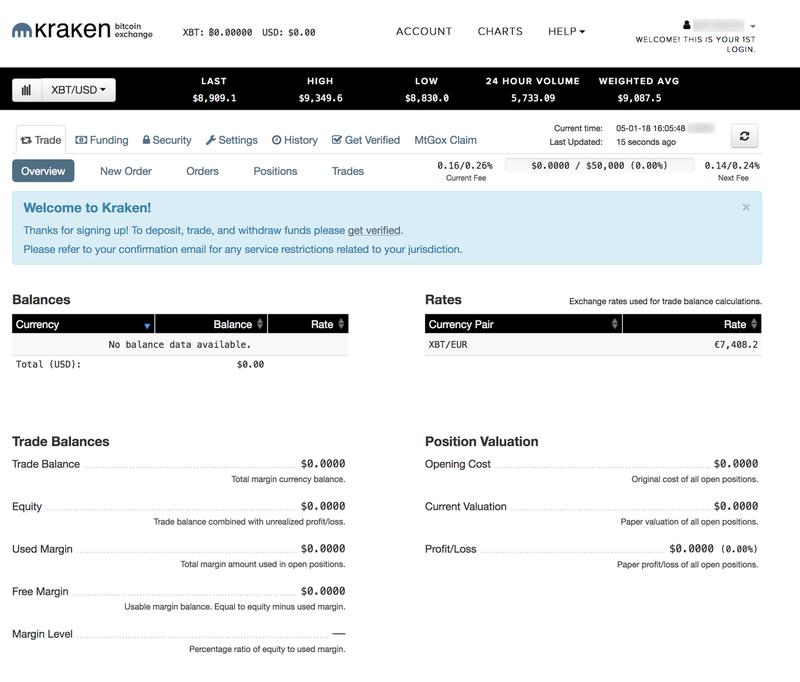 Kraken provides Bitcoin pricing to the Bloomberg Terminal. It used to be much larger in terms of daily trading volume, but it’s still in top 10. Let’s have a look at their homepage. If I told you about a company that had “Sail the high seas of success” as the main slogan on its website, what would your guess be about its main product? Coaching sessions? Self-help books? Luxury cruises? A good rule of thumb: when you have a slogan and a tagline on your homepage, try switching them and watch the page immediately become more clear about what it does. There. Isn’t that much clearer? No need for guessing. It still doesn’t tell the whole story, because you can trade many more cryptocurrencies, not just Bitcoin, but it’s much better nonetheless. What else is misleading on the homepage? 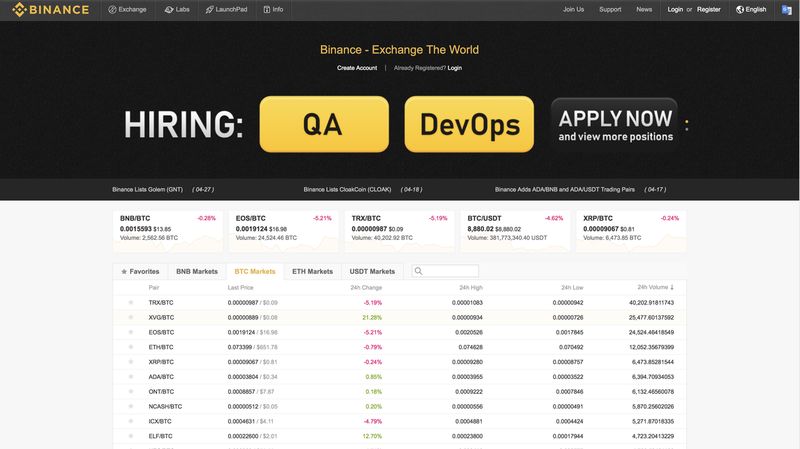 The very top yellow bar, with the text “The improved trading engine is released. Some important details on our blog. Read more.” It’s been there since January. And it links to a blog post telling you that the site is back online after “recent scheduled downtime.” Do you need to display it in May? At the very top of your homepage? There are also two conflicting calls to action. Two large “Sign up” buttons. One under the form on the left, and another in the main menu on the right. Ideally, you would have only one thing to do on the page. Anyway, I figured out what the site is about, and I decided to sign up. I’ll go ahead and click the “Sign up” button in the menu. It takes me to the registration form. This is practically the same form as on the homepage, with a slight improvement. It tells me what the password requirements are: “must be at least 8 characters in length and contain letters, numbers, and special characters.” Good, no need to guess and retype in frustration. One unnecessary thing though: why do you even need a username? It’s not an online game where you need a username to be identified by. An email is a unique identifier. No need to ask for another one that you can quickly forget. When you fill the form, you get to a very similar screen. This time for account activation. It asks for an activation key, and you can only learn what that is if you read the fine print under the first form field. Otherwise, you’re left wondering where the hell you should get the activation code. Luckily, at least the username is already pre-filled. Once you figure out where to look for the code (in an activation email) and fill in the form, you’re finally done registering. Not the most accessible first screen, but at least there’s a hint at what you should do next. The blue box encourages you to get verified. The onboarding could use a little more handholding and ease me into the platform, but at least I’m not left wondering what my next step should be. 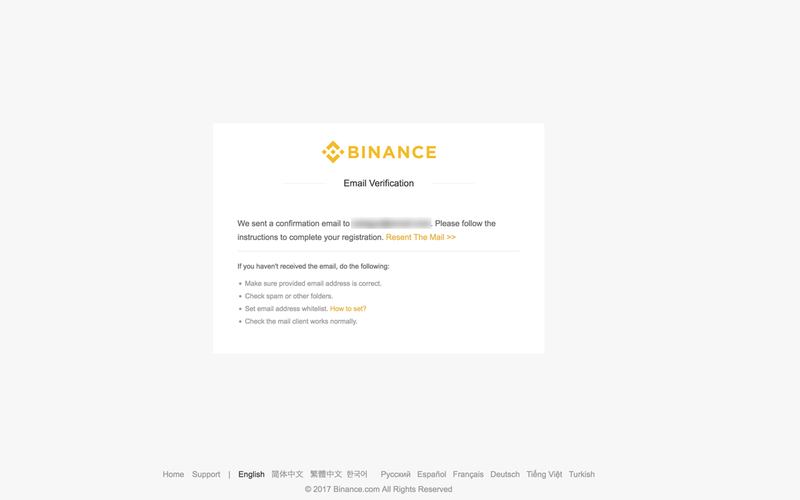 The homepage is relatively clear, the registration process has only minor hiccups, and onboarding is a (tiny) bit better than Binance’s. 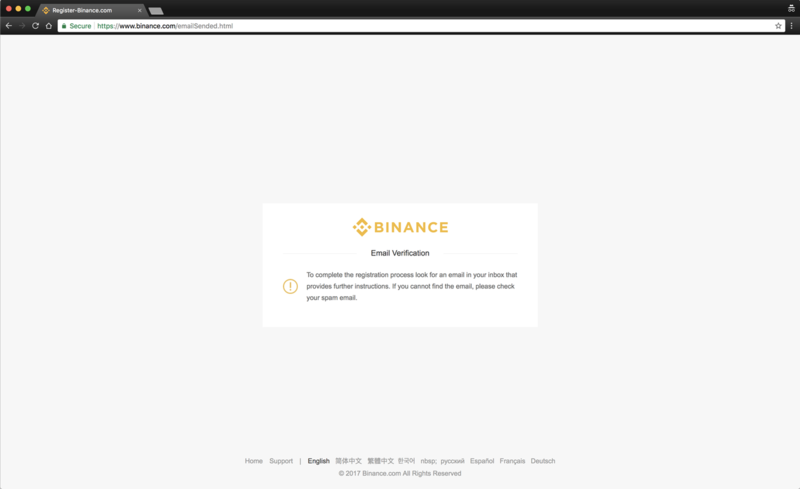 Which isn’t saying much, because Binance doesn’t have one at all. Overall it’s not bad, but it still has a long way to go. 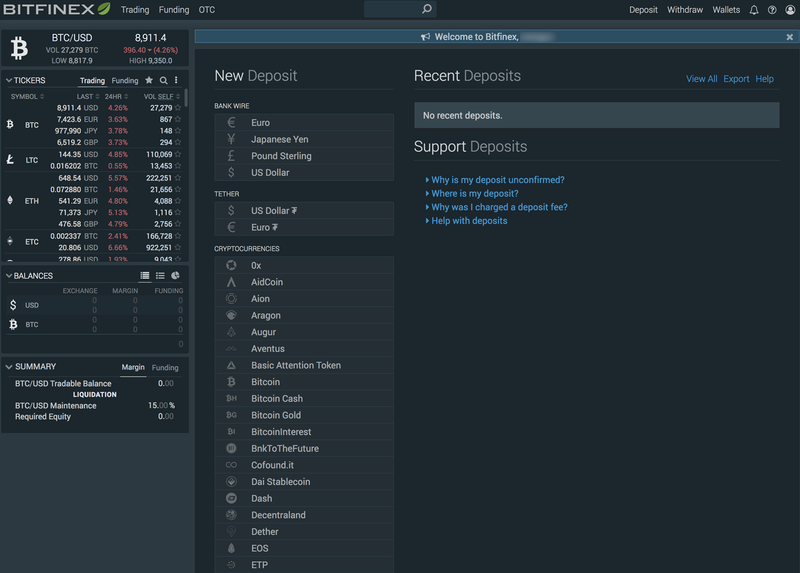 Bitfinex is another big exchange, in the top 5 in terms of daily trading volume. Finally, a homepage with a clear headline and a clear call to action. I’m not sure about “the largest” claim, but other than that there’s no room for misunderstanding what the site is and what it does. 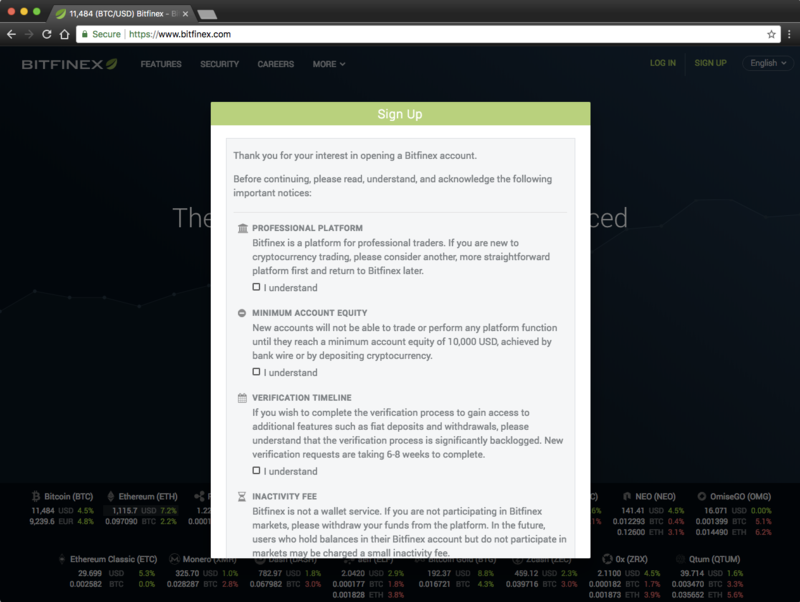 The primary call to action (“Open account”) is front and center. No need to look for a link on the page or guess what you should do next. And if you’re still in research mode and need to “see it to believe it,” there’s a secondary call to action for you too (“View demo”). And the page is good below the fold, too. 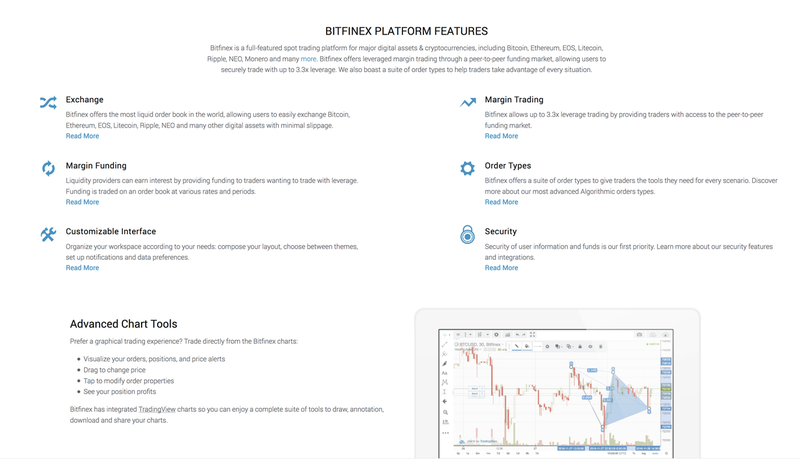 If you need more convincing and you scroll down, there’s a helpful summary of the platform’s features. They could have talked about the benefits too, not just the very technical features, but at least it’s something that was missing on other sites. And Bitfinex can justify this, because their target group is professional traders rather than crypto newcomers. 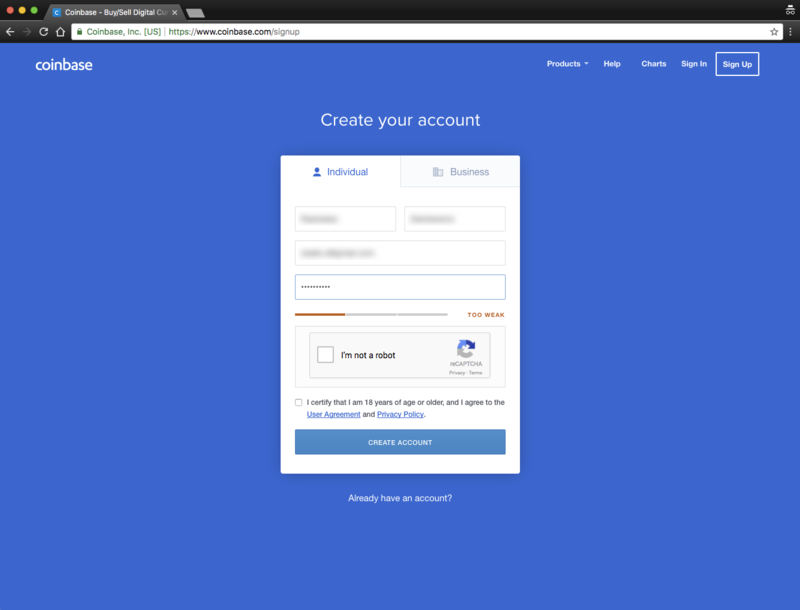 Let’s do what the main call to action tells us to, and open an account. A little bit of scaring away and some warnings. Minimum account equity of $10k, 6-8 weeks verification timeline, and inactivity fees. If you’re a newbie, you probably get discouraged and leave at this point. If you’re serious though, you proceed. Again, username and password? Why? No help with the password requirements, either. Timezone could also be determined automatically; you can have an option to change it in the settings later on. But during the registration process? Not necessary. Good explanation of what is happening and what to do next. Not much to improve here. 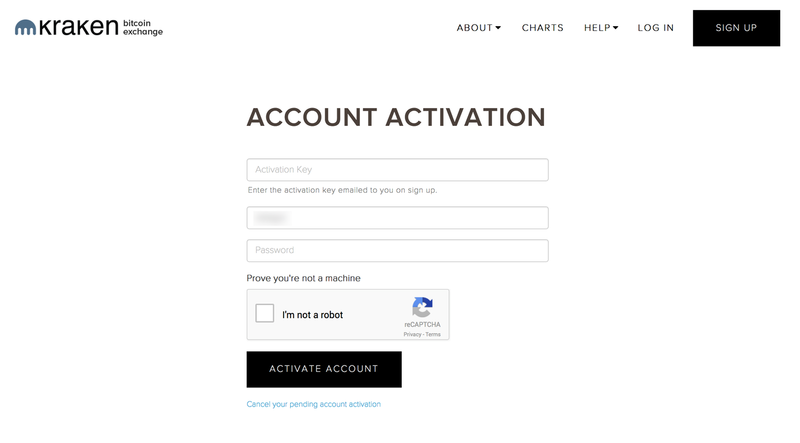 When I check the email and click the activation link, I’m taken to the login window. My frustration with the username and email was justified. You don’t need both. 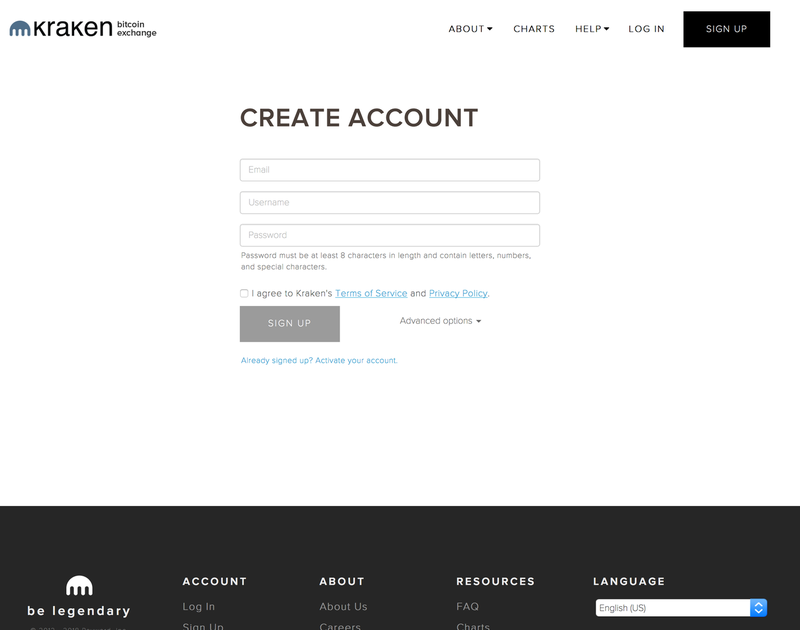 You can log in with an email or your username. So why have a username at all? Aaaand once again, it looks like I’m thrown into a room full of people, in the middle of a conversation, and I’m left to figure out what’s going on. Quite a good process from the homepage through registration. Falls short right after that. The exchange is geared towards more professional traders, though, so this could be at least partially excused. I saved the best for last. 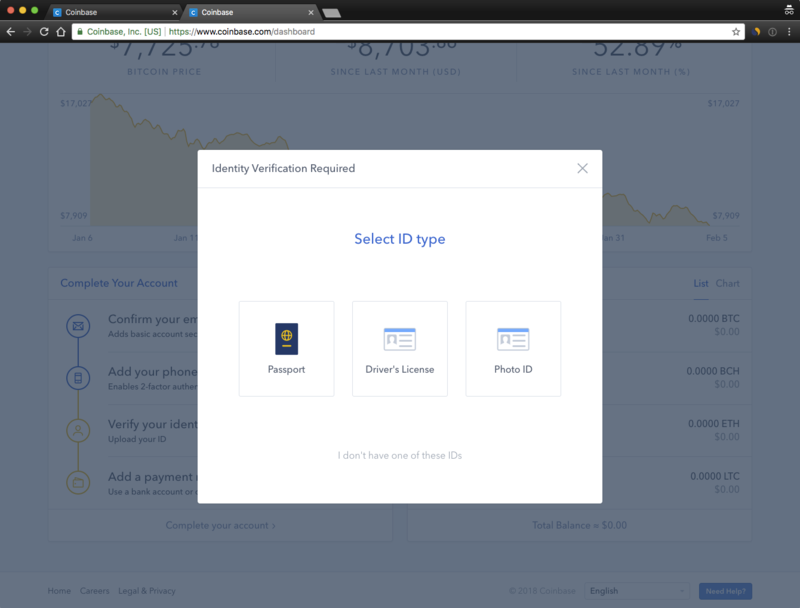 Coinbase is by far the best out of all the exchanges I reviewed. 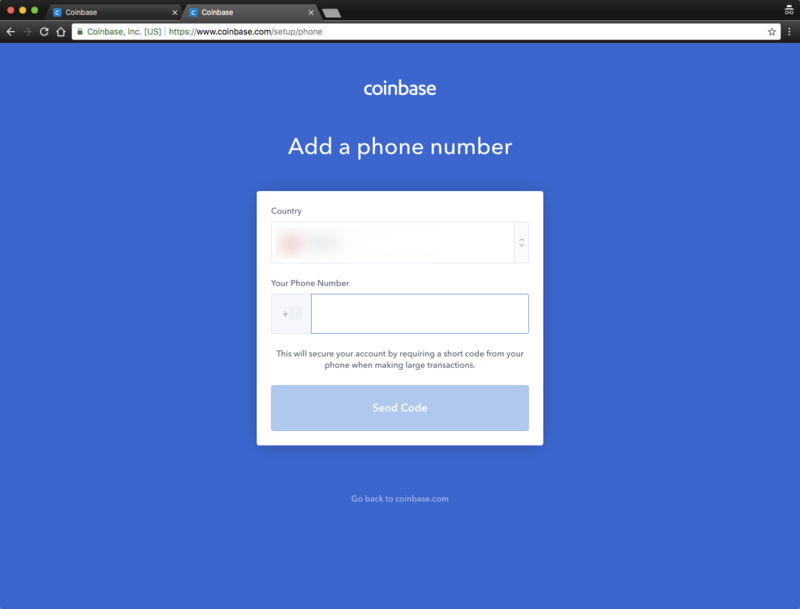 The company is Coinbase/GDAX, and they have two separate websites, geared towards two very different user groups. 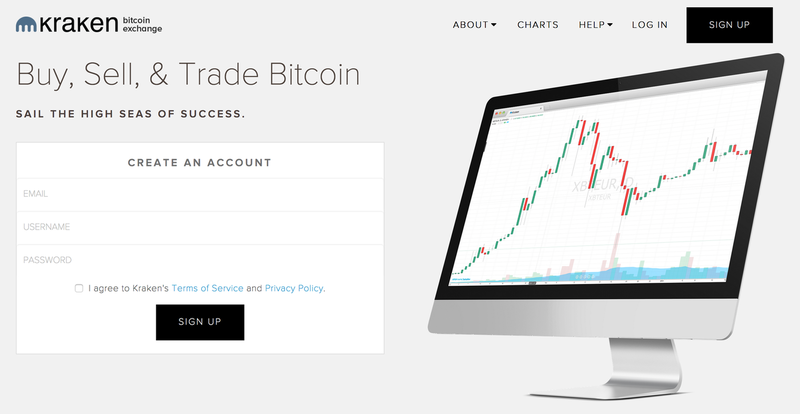 Coinbase is for newcomers into cryptocurrency world, while GDAX is for experienced traders. The strategy pays off. 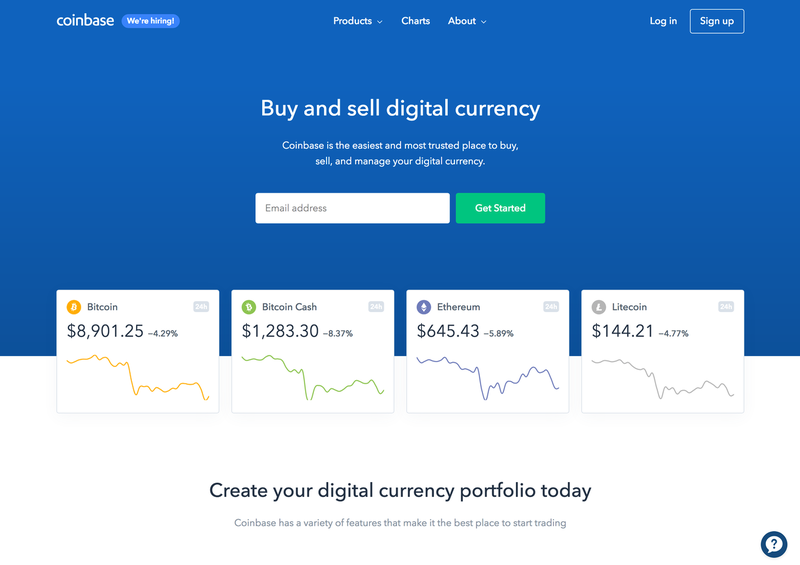 Coinbase has won a significant part of the market and invested it back into design and usability. The result? 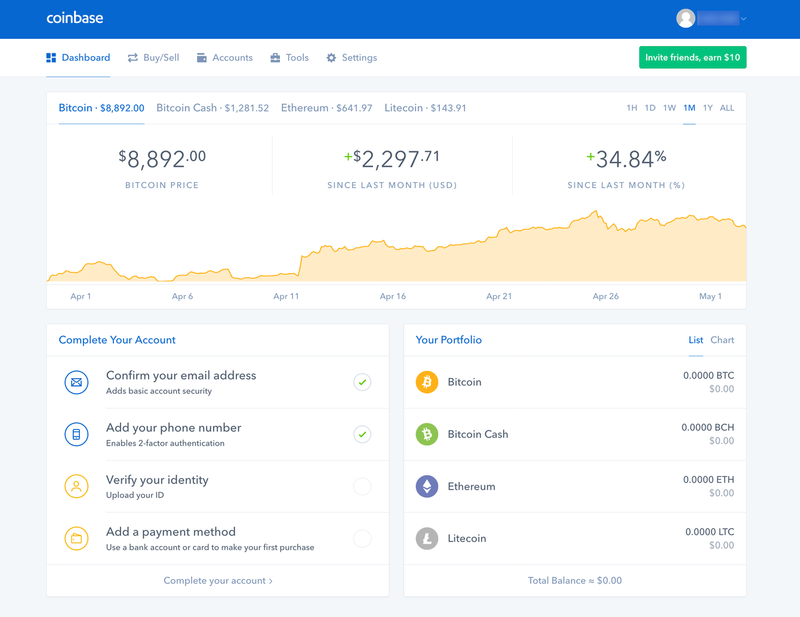 Coinbase reportedly made more than $1 billion in revenue last year. This whole “focus on the customer” thing pays off. Couple it with the multiplier of the growing market and that’s how you get a cool billion in a year. A prominent and clear call to action, too. No way you won’t know what to do. Enter your email and “get started”! Nice little charts under the call to action. Not too distracting, showing the cryptocurrencies, their prices, and price charts for the last 24 hours, in anticipation of what’s inside. And what about the stuff below the fold? Further down the page, there’s a roundup of features, a dashboard, and a screenshot of the mobile app. Everything naturally persuades the visitor to sign up, and shows them what to expect inside. I love it! Just like the small bad things, the small good things add up! Ok, I’m convinced. Let’s go ahead and sign up. Everything crystal clear here. First and last name. Email. Password. Not a robot. There’s no explanation of password requirements but once you start typing, after a few characters you get a bar with your password status: Too weak / OK / Excellent. Once I fill in the form and submit it, I get very clear info about what I need to do next: “Click the link inside a verification email to get started.” Nothing else to do or to click on this page. Perfect! Note that on this page (and the next few as well) there’s no main menu, no footer, no links or elements to distract you from the only thing you need to do on the page. That’s in stark contrast to all the other exchanges, where you had all the links, footers, and unnecessary announcements during the registration process. Once I click the verification link, I’m taken to a page to add my phone number. Everything’s crystal clear here, too. I only need to choose my country and add the number. Once I select the country, the country code is automatically displayed, so I don’t need to think about the format. The less a user needs to think on the page, the better. Always. The fewer things to do on the page, the better. Ideally, one page — one thing. The one thing to do here is to enter the confirmation code I’ve just received. Clear and easy. And that’s it! I’m registered, and I’m inside. Now let’s see what’s going on here. Current price, a nice chart, and… a helpful list of tasks to complete my account! Finally, a clear path of actions, proper onboarding, and no need for me to wonder what to do next. Great job. Only one thing to do here: Choose the type of ID. Based on this choice, the rest of this step is similarly straightforward. The last step in the onboarding process is to add a payment method. 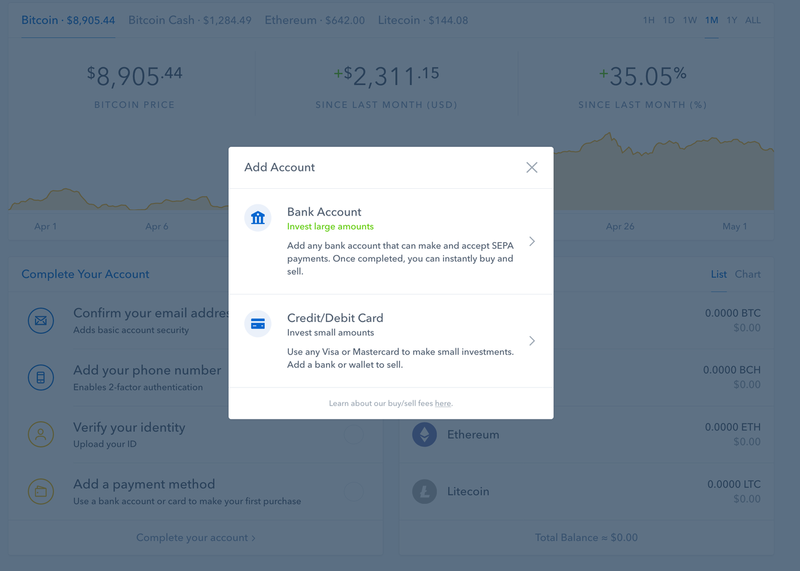 Even here, with two different options to choose from, Coinbase makes it easy for me: a bank account for investing large amounts, or a credit card for small amounts. Once again, I’m not left to wonder which option I should choose. Once I complete this step, I’m ready to trade. 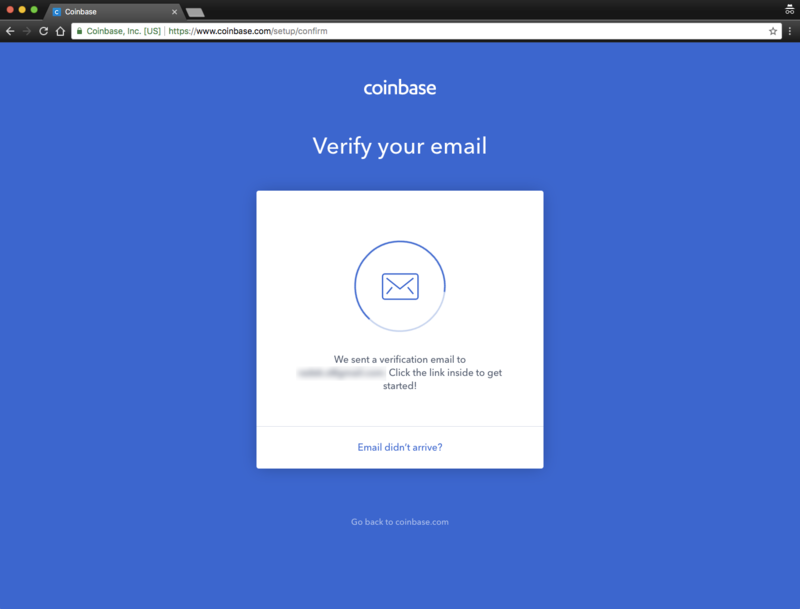 Fantastic job, Coinbase! 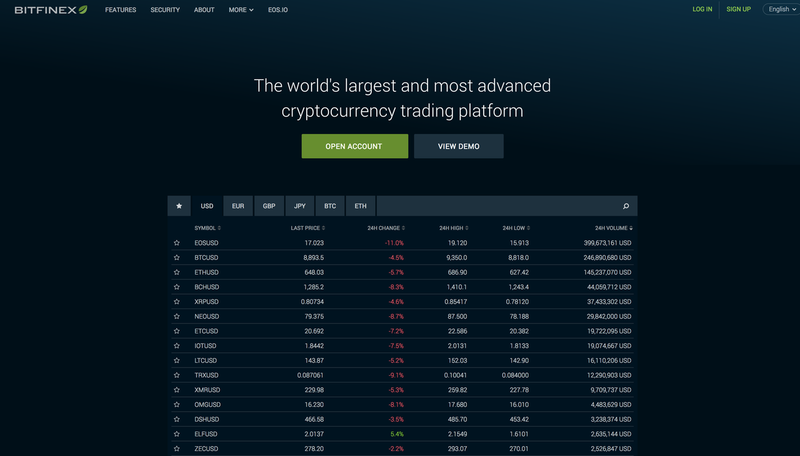 After I’ve completed my account, it could be a good idea to give me an assisted tour of the platform, to show me the features and how I can start trading. 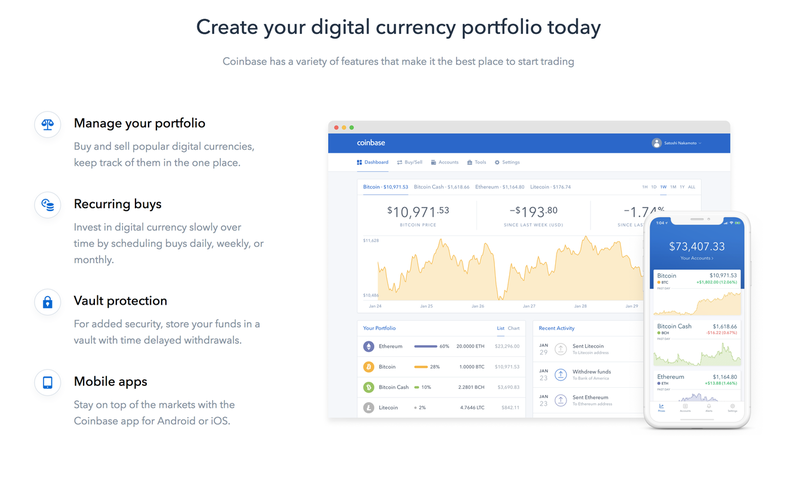 Especially considering that Coinbase is geared toward first-time traders. But I’m only nitpicking here. They have a great mobile app too, where it’s all even more clear and better explained. Coinbase did a great job at attracting millions of people during the crypto frenzy, but they also worked hard at making their product excellent and easy to use – something the other big exchanges are still struggling to achieve. 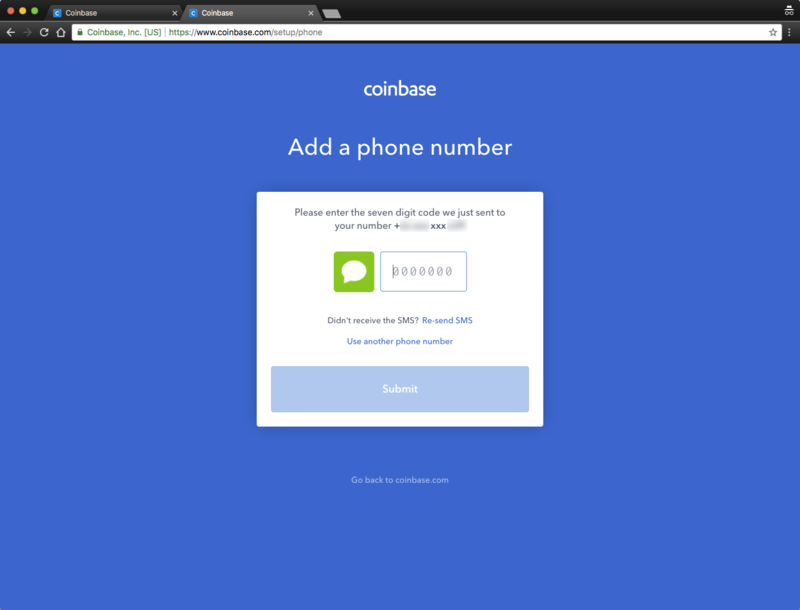 No wonder Coinbase is now preparing for a monster increase in trading. They did their homework, and now they’re ready to reap the benefits. It’s well deserved; you can clearly see why. 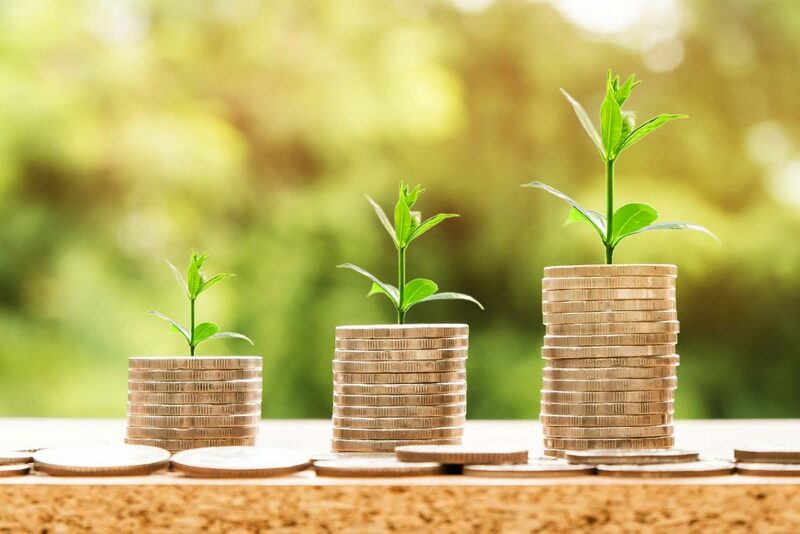 Cryptocurrency exchanges are doing very well right now, especially considering that some of them started just a few quarters or years ago. But if they want to continue to grow in a market that’s beginning to resemble a sane one, they need to start focusing on the user, not just technology. Clearly, most of the exchanges still have a long way to go. It will be interesting to see who improves the most, and how fast. Those who do it best will capture the lion’s share of a market worth billions. So it’s worth doubling down on user experience while times are still good. I’ve only scratched the surface here, with a couple of exchanges and just the very few first steps in their funnels. 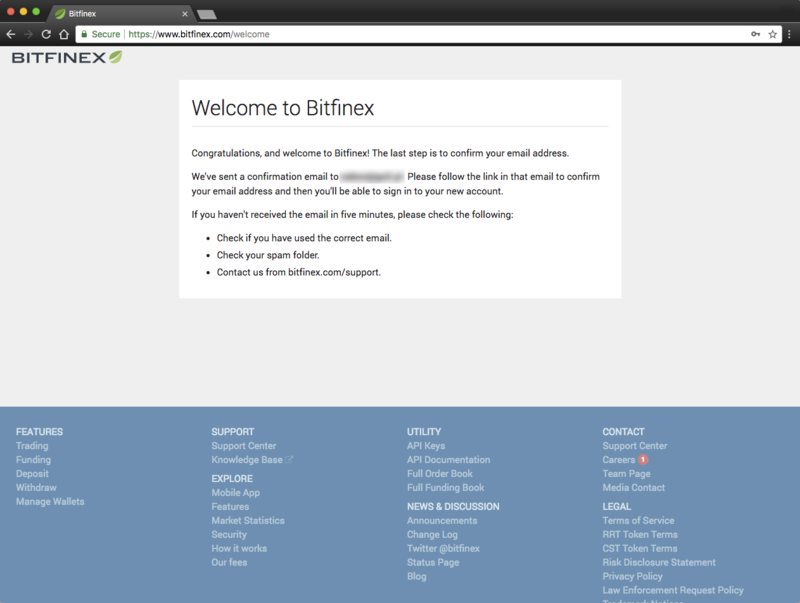 I plan to review more exchanges and to dive deep into some of their funnels. Add your email below if you want me to ping you as soon as there’s a new article.